Paula M. Jones has twenty years of experience advising clients on all aspects of domestic and international estate law for moderate to high net worth individuals and business owners. She opened her own practice in 2016. Her domestic estate work includes wills, trusts, powers of attorney, living wills and beneficiary designations. She employs marital, residuary, disclaimer, dynasty, asset protection, grantor-retained annuity and intentionally defective grantor trusts, as well as family corporations to protect and preserve assets for many generations. She represents trustees and beneficiaries of trusts in trust-related matters. Her Orphans’ Court practice includes trust reformations, trust mergers and divisions, terminations, accountings and audits. She represents parties in negotiations to avoid fiduciary litigation. Her work with international clients includes efficient planning in regard to U.S. estate and gift taxation, qualified domestic trusts, residency determinations, tax treaty applications, pre-immigration planning for non-resident aliens coming to the United States, expatriation tax planning for residents and citizens leaving the United States, administration of estates of foreign individuals with U.S. property and other related matters. She has represented many individuals in regard to foreign account and asset compliance issues. Paula is currently an adjunct professor at Western New England University School of Law where she teaches International Estate Planning. She has guest lectured at Columbia University, Temple University School of Law’s Masters of Laws Program and Rutgers University School of Law. 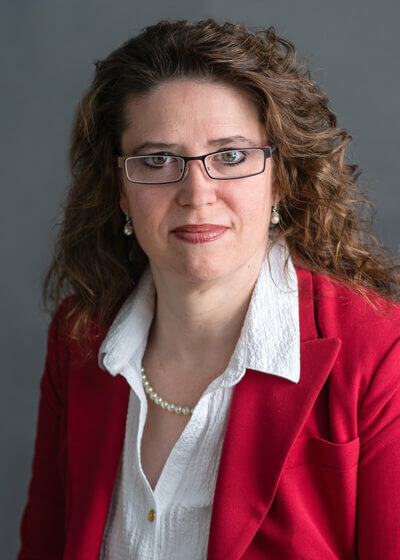 She lectures frequently for organizations such as the American Immigration Lawyers Association, Society for Human Resource Management and the American Bar Association, as well as local estate planning councils. Paula has authored several articles in respected industry journals such as Trusts and Estates, AICPA’s Tax Advisor and the ABA’s Practical Tax Lawyer. In addition, she developed a workshop on estate planning basics, titled “Will Power: Wealthy or Not, Your Estate Matters.” The companion book was published by The Graduate Group. Paula is admitted to practice in the State of New York, the Commonwealth of Pennsylvania, the U.S. Tax Court and the U.S. District Court, Eastern District of Pennsylvania.